Journal of Indonesian Legal Studies (JILS) is a peer-reviewed journal published biannual (July-December, January-July) by Master of Legal Science, Faculty of Law, Universitas Negeri Semarang (MIH FH UNNES). The JILS is intended to be the journal for publishing articles reporting of results of research on law, especially in the context of contemporary of legal issues. The various topics include, but not limited to, criminal law, administrative law, constitutional law, international law, Islamic law, private and commercial law, business law, agrarian law, economic law, human rights law, anti-terrorism law, anti-corruption law, capital market law, and diplomatic law. The primary criterion for publication in JILS is the significance of the contribution an article makes to the literature in law area. The acceptance decision is made based upon an independent review process that provides critically constructive and prompt evaluations of submitted manuscripts. The primary, but not exclusive, audiences are academicians, postgraduate students, legal practitioners, and others interested people in legal research. 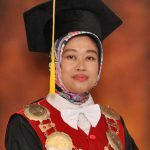 The objective of Journal of Indonesian Legal Studies is to provide the widest possible dissemination of knowledge of professional research and educational activity concerning to legal issues. As part of this process, authors are encouraged to make their data available for use by others in extending or replicating the result reported in their articles. Authors of articles which report data dependent results should footnote the status of the data availability and, when pertinent, this should be accompanied by information on how the data may be obtained. An objective of Journal of Indonesian Legal Studies is to promote the wide dissemination of the results of systematic scholarly inquiries into the broad field of legal research. Permission is hereby granted to reproduce any of the content of the journal for use in other that a course instruction, e.g., inclusion in books of readings or in any other publications intended for general distribution. In consideration for the grant of permission by the journal in such instances, the applicant must notify the author(s) in writing of the intended use to be made of each reproduction. Normally, the journal will not access a charge for the waiver of copyright. Except where otherwise noted in articles, the copyright of article in the journal has been transferred to the MIH FH UNNES. Where the author(s) has (have) not transferred the copyright to the MIH FH UNNES, the applicant must seek a permission to reproduce (for all purpose) directly from the author(s). Journal of Indonesian Legal Studies will not charge anything to the author for submission fee or publication fee. Once the issue is published, the author will get an issue by email and post mail. The Author should submit the manuscript in word (doc., docx., rtf.) format to the JILS Editorial Office by online submission http://journal.unnes.ac.id/sju/index.php/jils or by email to jils@mail.unnes.ac.id All manuscripts must be prepared according to the Journal of Indonesian Legal Studies guidelines. 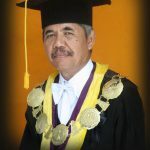 The Editor-in-Chief of Journal of Indonesian Legal Studies has the right to decide which manuscripts submitted to the journal should be published. JILS manuscript preparation and style guidelines follow, with a slight modification, documentation 2 of the Chicago Manual of Style (14th ed., University of Chicago Press). The manuscripts should be typed in A4 (8.27″ x 11.69″), 12-point Times News Roman font and must be 1.5 line-spaced, except indented quotations. The manuscript must be saved as a word file. All pages, including tables, appendices and references, should be serially numbered. Spell out numbers from one to ten, except when used in tables and lists, and when used with mathematical, statistical, scientific or technical units and quantities, such as distances, weights and measures. For example: three days; 3 kilometers; 30 years. All other numbers are expressed numerically. Authors are encouraged to use ULRJ template. Sample template is included at the end of this document. In the text, works are cited as follows: author’s last name and date, without comma, in parentheses: for example, (Becker 1987); with two authors: (Hannan and Freeman 1984); with more than two: (Sanders et al. 1985); with more than one source cited together (Jones 1987; Freeman 1986); with two or more by one author: (Jones 1987, 1989). If an author’s name is mentioned in the text, it need not be repeated in the citation. Citation to institutional works should use acronyms or short titles where practicable. Authors should avoid excessively referencing your own work (self-citation).